In California, the Missions were a significant part of our history. 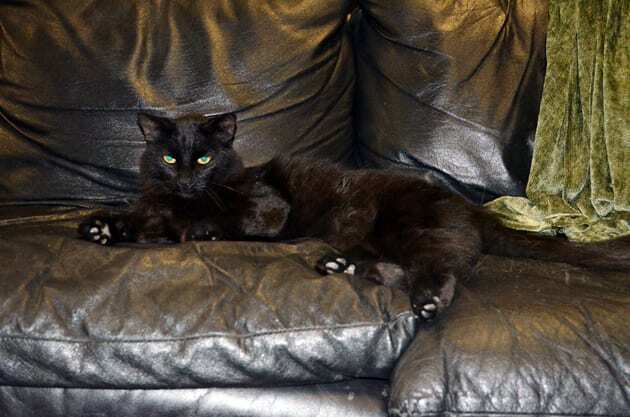 One Mission, San Antonio De Padua in Monterey County has a hidden secret with a special gem, a black cat named Rosario. 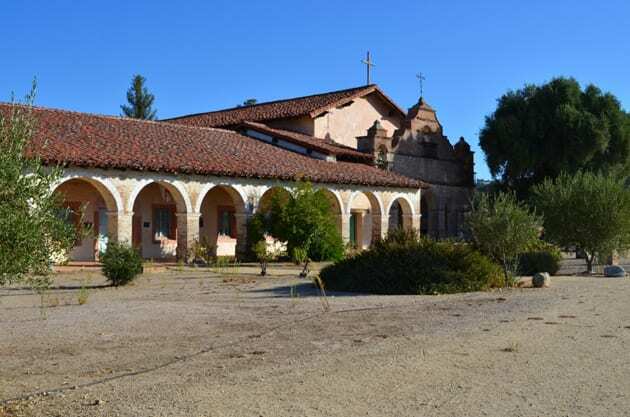 Mission San Antonio De Padua is hidden away in on the grounds of Fort Hunter Liggett. It is the third Mission to be built in California by Father Sierra yet it is the first inland Mission to be established and the first to rely on agriculture to sustain it. Restored in the 1940s, this Mission is the first not to contain a Presidio. What it does have that perhaps no other Mission has is a resident cat named Rosario. Rosario brings true life to this Mission. He is a soft, cuddly, very dog-like cat. This cat loves to make himself known to all the guests visiting the Mission as well as the Parish members. Rosario welcomes and guides you while you stroll along the Mission’s grounds as he has full reign of the Mission. 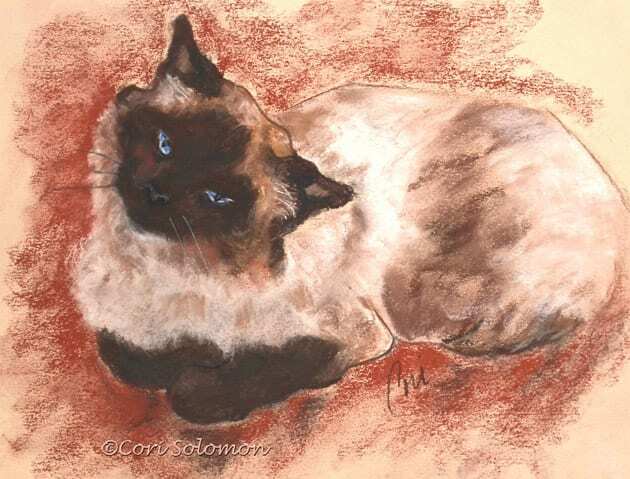 Rosario’s partner in crime is his wife, Spirit a Siamese mixed breed cat. In 2007, Rosario along with his littermates came to the Mission’s Fiesta to be adopted. 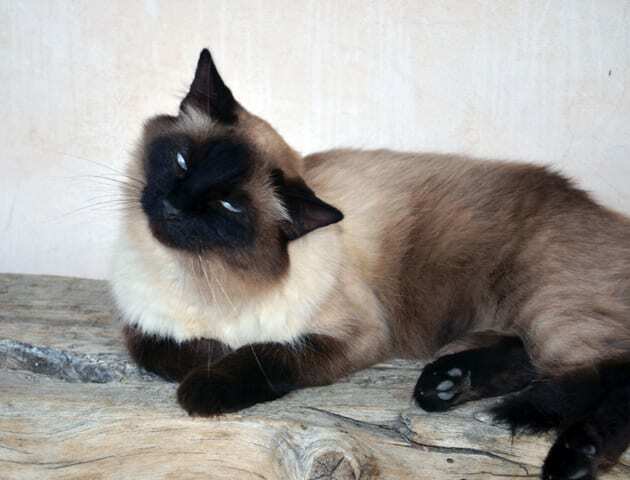 Since no one took Rosario, the staff at the Mission decided that he and his brother would become the “Mission cats” where they would be socialized and greeted by all the guests. Rosario being the social butterfly thrived, but at this time he was just known as the nameless cat or kitten. Shortly after Rosario’s arrival, a grieving family was attending funeral services for a young man who had just passed away. When the mourners entered the church, the kittens scampered in. As the Mission manager tried his luck to chase these two rascals out of the church, the grieving mother of the deceased, a cat-loving person suggested that the cats be allowed to remain in the church during the service. As the presiding priest began the service, the little black cat started strolling down the aisle as if he owned the church. The cat walked past the priest into the sanctuary, moving past the altar into the Sacristy room. Minutes later all eyes were on this cat as he captured everyone’s attention walking out of the Sacristy room. This cat walked straight to the deceased’s mother with a rosary in his mouth, dropping them into her lap as if to say these are yours and settled in to join the mourners for the rest of the service. After the service, the mother and widow of the deceased came up to the Priest to return the rosary but the Priest insisted that the young woman keep them because they were not his and perhaps it was a sign from God that she was meant to have this rosary. Interesting enough the young woman explained that this rosary looked like those of her father’s, which she had been looking for before the service but could not find. When the priest again told her she could have the rosary, the woman replied that she wanted the cat. With this gesture, the cat could not leave the Mission, as he was duly the Mission cat. Soon after this cat received the name Rosario in honor of the special gift he gave to the Church and its mourner. Blessings come in many shapes and forms, and Rosario is one the universe chose to watch over the Mission and its grounds. Rosario’s presence graces the Mission every day. He is the guardian angel of Mission San Antonio De Padua. Hearing this story during my recent visit to the Mission and after spending the evening sitting on the sofa with Rosario in the Mission’s library, he indeed is one special cat. As I watched Rosario’s antics, it reminded me of my cat, Albee who came to me as a gift from my sister after her death and I now consider one of my guardian angels. 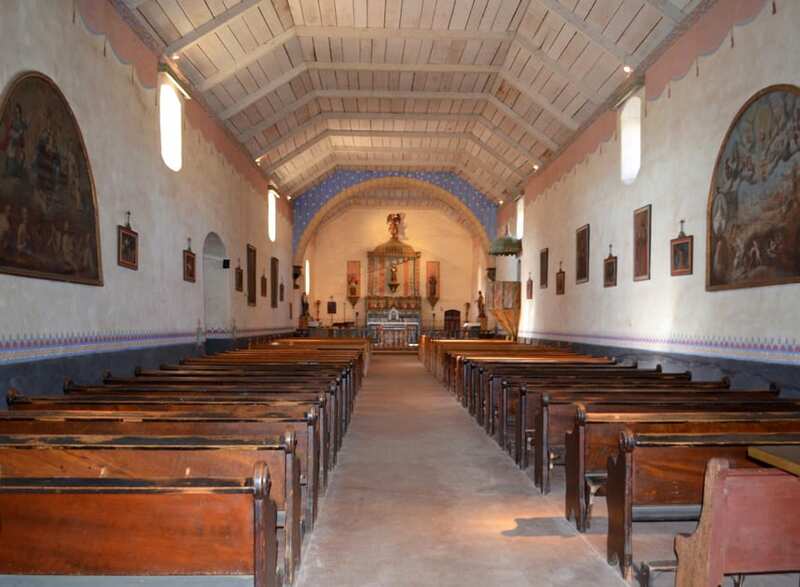 I truly felt a connection to Rosario as if he had touched me in some special way and you will too if you come and visit the Mission San Antonio De Padua. 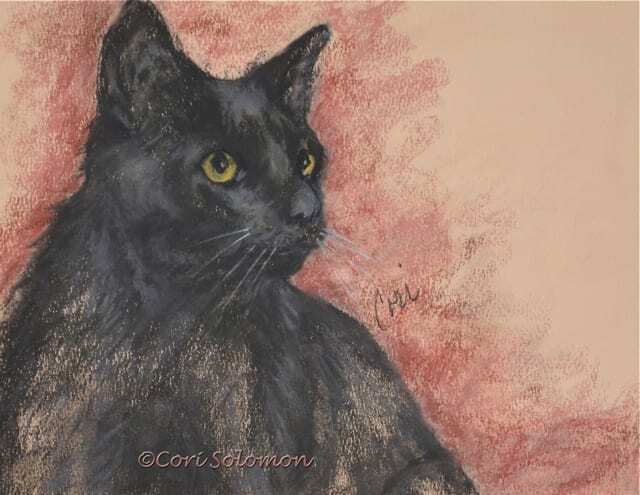 This drawing represents Cori Solomon’s tribute to Rosario. In September 2017 I heard that Rosario passed to the rainbow bridge. Franki Grau, the manager of the Mission’s gift show, said, “Our faithful most remarkable docent and greeter, Rosario has journeyed on to his rest. He was a gift from God we were blessed to know and love.” Mission San Antonio de Padua will miss this wonderful cat but Rosario will live on in all of our hearts.